In a move that should come as a surprise to no one, Marvel was a large presence at Comic-Con, countering Warner/DC's announcement of a Batman/Superman team-up with news about several of its own films. Making the biggest announcement was Avengers director Joss Whedon, who showed a preliminary teaser for the much-anticipated sequel. 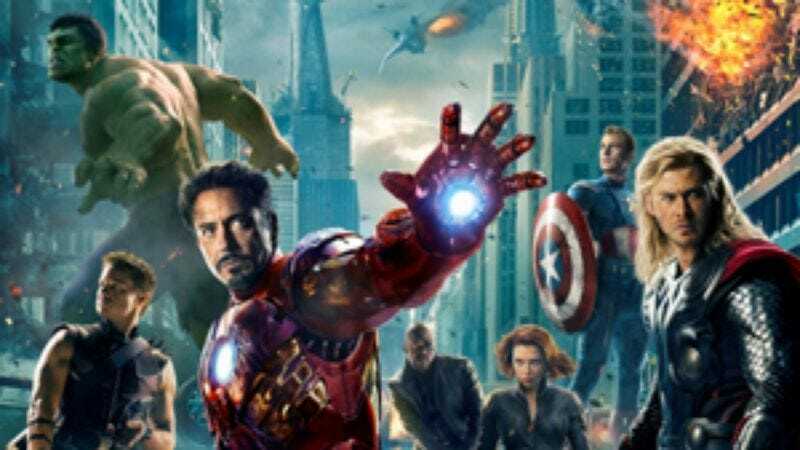 The second film will be called The Avengers: Age Of Ultron, and has a planned May 1, 2015 release. Whedon plans to split 2014 between filming and explaining to everyone who didn't attend Comic-Con what an Ultron is. (Ultron is a robotic menace who has appeared throughout Avengers and other Marvel comics since the 1960s, although "Age of Ultron" was also a Brian Michael Bendis-penned storyline from 2013, which the film is expected to borrow from.) No word as to who will play the titular villain, but for now let's just assume it's Benedict Cumberbatch until we hear otherwise. Elsewhere at the convention, previous Avengers villain Tom Hiddleston delighted the crowd by appearing in character as Loki, quoting several of his lines from the film and presenting new footage from Thor: The Dark World. Marvel's presentation also showed footage from Captain America: The Winter Solider and Guardians Of The Galaxy, and reaffirmed Marvel's commitment to bringing every single character in their arsenal to the big screen, until we finally get that gritty reboot of Peter Porker: The Spectacular Spider-Ham we've all been waiting for.